BANGLADESH is particularly vulnerable to climate change. 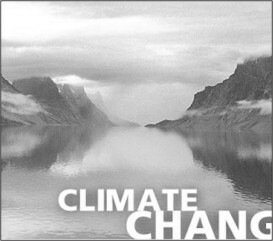 Researchers and development partners have been vocal regarding the effect of climate change for a considerable period. It has been stated in the UK government's country plan (2009-2014) to fight poverty in Bangladesh, “As a low lying delta sandwiched between the Himalayan glaciers and the Bay of Bengal, Bangladesh is particularly vulnerable to climate change.” Needless to mention, children from marginalised communities would be among the most vulnerable, as they are easily susceptible to disasters and diseases. As reflected in the White Paper 2009 (Eliminating World Poverty: Building Our Common Future) published by UK government, climate change is a crucial development issue for Bangladesh. A rise in sea levels may permanently flood 6-8% of the low lying lands by 2050 and force several million people to relocate. Flood-prone areas will increase from 25% to 40% by 2050 affecting 70 million people a year. Extreme weather events are increasing and Cyclone Sidr alone killed 3000 people. Within poor communities, women and children may be particularly exposed, as previously seen in Bangladesh where they made up 90% of the victims during the 1991 cyclone. The climate change would have a negative impact on pro-poor economic growth and ensuring environmental sustainability is getting difficult day by day. Due to climate change, there would be changes in dust distribution potentially increasing air-borne diseases. Children from marginalised families would become easy prey as temperature, water and vegetation changes would result in increasing prevalence of diseases. Bangladesh is one of the earliest signatories of UN Convention on the Rights of the Child (CRC) and it has been stated in Article 27(1) of the CRC, “States Parties recognize the right of every child to a standard of living adequate for the child's physical, mental, spiritual, moral and social development”. Forced population movement resulting from extreme climate events would compel the families of children in compromising standard of living. It has been stated in Article 6(1) of the CRC, “States Parties recognize that every child has the inherent right to life.”It has been further illustrated in the later part, “States Parties shall ensure to the maximum extent possible the survival and development of the child”. Climate change would not only reduce access to health services, there are suggested increases in infant and child mortality also. Increased temperature and changes in precipitation reduces agricultural and natural resources. The Human Development Report (UNDP) of 2007-2008 argues that the progress made in recent years in human development is being threatened by climate change. The signs are already observed mainly amongst the poorest and most vulnerable population and countries. The report also warns about loss of agricultural productivity leading to food insecurity. Essentially, the number of underweight children would increase as a result of increase in population below minimum dietry consumption. Climate change would lower water security due to the fact that changes in precipitation, run-off and variability would lead to greater water stress. Although United Nations Committee on Economic, Social and Cultural Rights recognised water itself as an independent right, children in greater number would suffer from water insecurity. The ongoing environmental degradation on the rivers passing by the cities has forced the people, who used to live by the river, to change their livelihood. Pollution and unplanned construction of dam and barrage has already had an impact on rivers flowing across Bangladesh. Increased salinity in the coastal areas would further restrict children's right to safe drinking water. Increased incidence of water-borne diseases associated with flooding and forced population movements would contribute to the health risk of children. Although it has been stated in Article 24 (1) of the CRC, “States Parties recognize the right of the child to the enjoyment of the highest attainable standard of health and to facilities for the treatment of illness and rehabilitation of health.”; a number of 120,000 newborns die every year in Bangladesh, estimated by UNICEF. Climate change would increase susceptibility of poor households to infectious diseases. Achieving MDG related to infant mortality would be further difficult with an increase in under-5 and infant mortality. To recapitulate, climate change would deepen childhood poverty and will have a negative impact on survival and development of the children from marginalised communities. Children would also have difficulty in accessing educational services during climate-related extremes. While taking measures related to adaptation to climate change, children should be at the centre of every initiative. Otherwise, vulnerability of children would further increase while climate variability leads to extreme climate events. The writer is working for FIVDB.